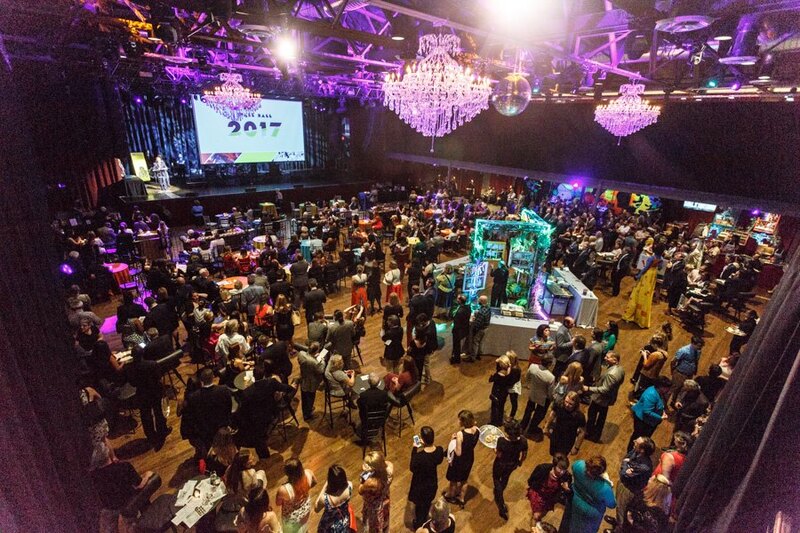 The great folks at Mural Arts rented a Split Flap for their annual Wall Ball, hosted this year at The Fillmore in Philadelphia. 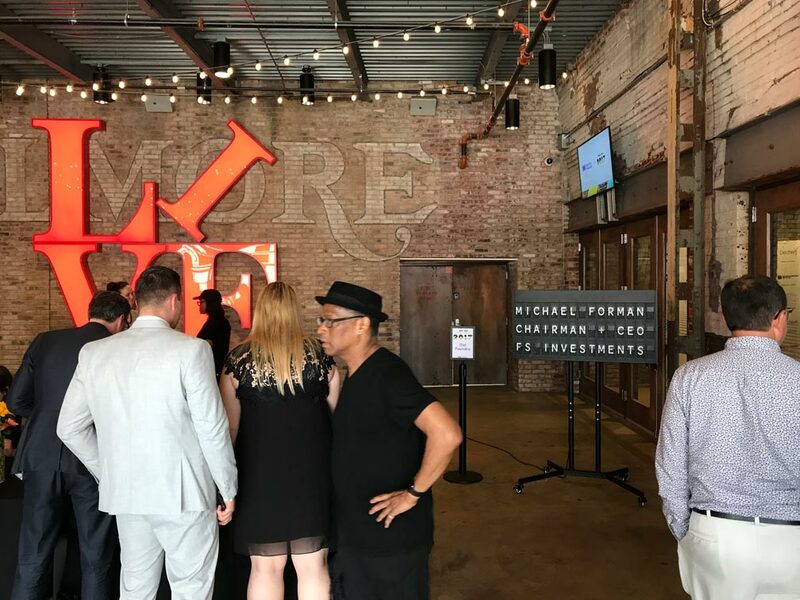 Read on to see how Mural Arts used this nostalgic & artful messaging system to greet guests as they entered the venue and recognize the donors and honorees throughout the night. The Mural Arts Wall Ball is an annual fundraiser for Philadelphia’s Mural Arts program – funding from this night supports collaborative public art projects and high-quality art education and training programs. To add to the atmosphere of art, break dancing, jugglers, and fire dancers – Mural Arts rented a Split Flap to display messaging at the entrance of the venue. 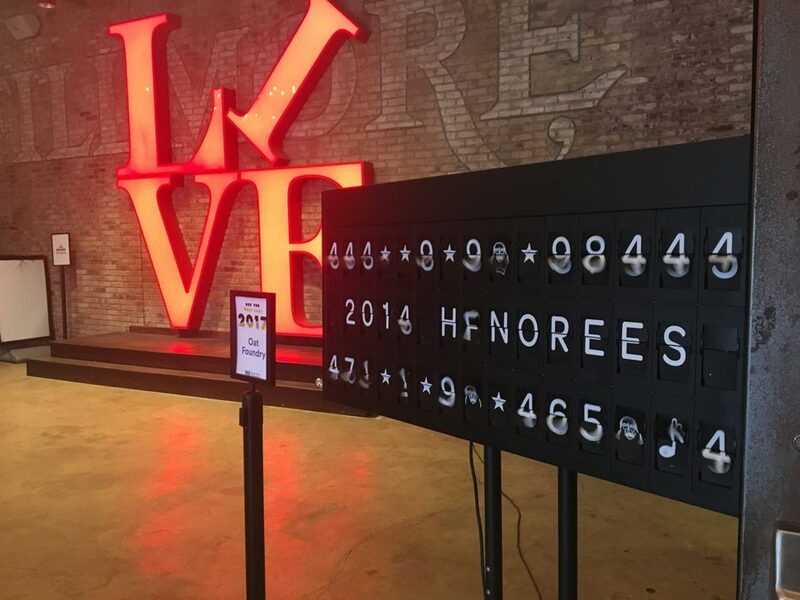 The Split Flap was used to display welcome messages to the many guests as they walked into the venue, as well as to display messages of recognition to honorees, award winners, sponsors, and more. 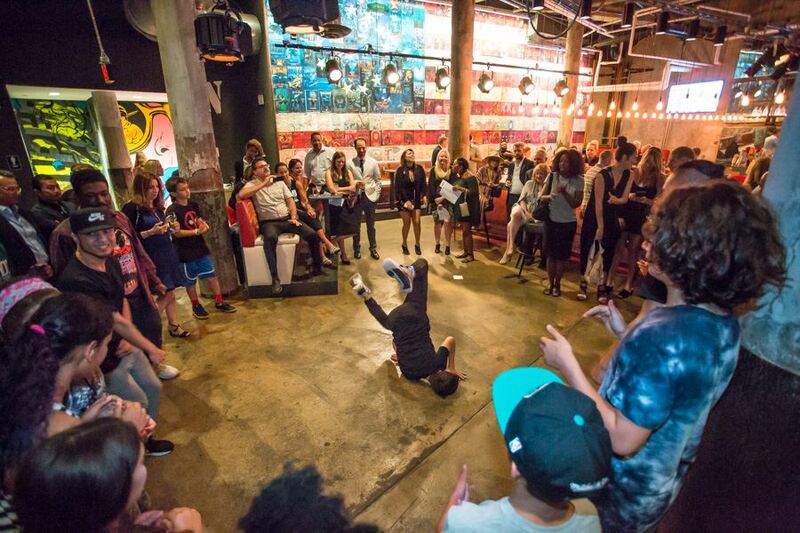 The night kicked off with some drinks (sponsored by our friends over at Philly Distilling), yucca fries, and break dancing – all things we love here at Oat Foundry. 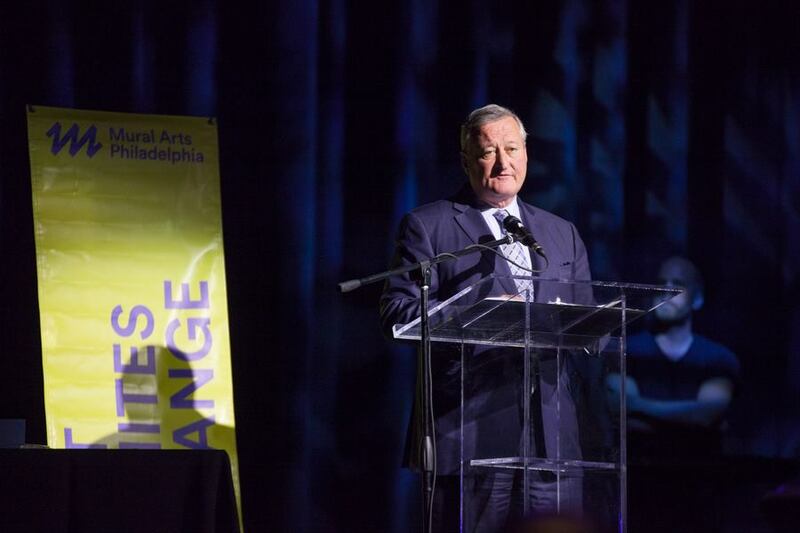 That was followed up by some choice words by other sponsors of the event, Philadelphia’s Mayor Kenney, as well as the founder and executive director of Mural Arts, Jane Golden. The event was a blast, and all for a great cause in our home city of Philadelphia – thanks Mural Arts! 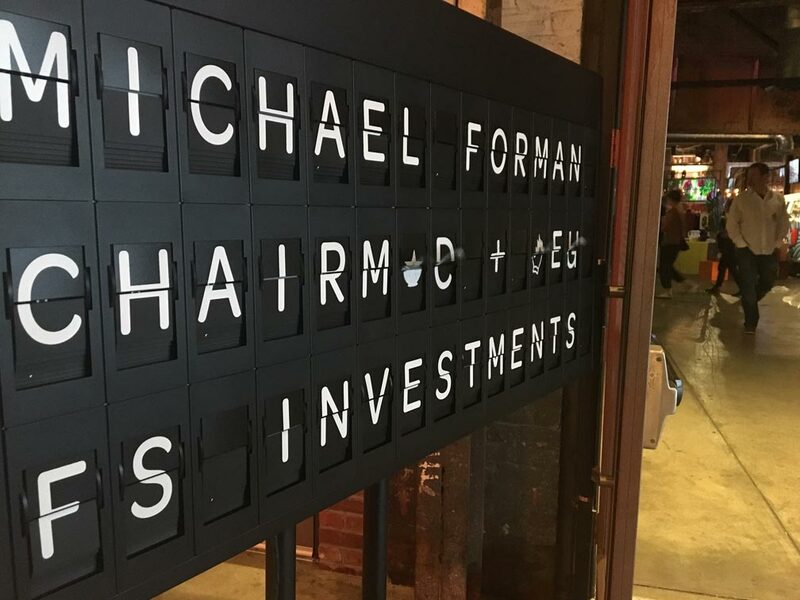 If you’re interested in renting a Split Flap Display, similar to the one rented by Mural Arts – click here to learn more and fill out our Split Flap request form.